If someone doesn't reply to your Line messages, it's possible they have blocked you. And if you're unsure and worried about this, this guide will free you from such suffering. We will explain several tips you can try to figure out if you have been blocked on Line by your friends. The first tip that we turn to any official account for help is a good one. And if your friend has blocked you, no third party will know you have made this test. Go on and see how to start a chat with any official account and the one you want to confirm whether he/she blocked you. 1. Add an official account (the one with a shield and star logo beside the name). 2. 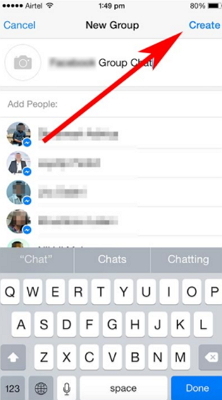 Start a multi-person chat and invite your friend and the official account into the chat. 3. If it says empty room, you have been blocked by your friend. The prompt of the empty room means you can't invite someone to a multi-person chat - then, unfortunately, you have been blocked by them. If you were able to see your friend's Homepage, but for now you are no longer able to see the page at the same time that you cannot contact with them, probably you have been blocked by him/her. See how to confirm as below. Go to your friend list. Tap on the profile of the person who you think may block you. Another window will pop up and you need to tap the home logo which will bring you to the person's home page in Line. If it says "There are no shared moment, yet", however you could see the person posts in his/her homepage, then you have been blocked. This only works for those people who ever put ANYTHING on their Line home page. 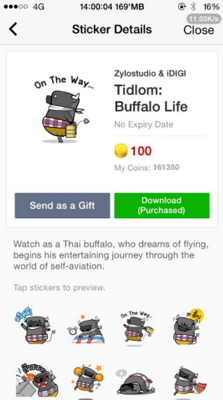 You can also try sending your friend a sticker as a test. If you are blocked, no matter what stickers you send, Line will not let you do that. See the specific steps. Select "Send as a Gift" option and choose the friend who you think has blocked you, and tap "Select". If you get the prompt of "Purchase this Gift", then congratulations! You are not blocked! And you can really send your friend the sticker or just go back with no worry. But if you get a prompt of "You cannot give these stickers to this user as he/she already has them". There are two readings: You have been blocked by the friend; Your friend really has the sticker already. And you can try the tip again to send more stickers to the friend. If always get the prompt, and then probably you have been blocked. This tip is pretty similar with tip 3 and you don't have to pay any money. 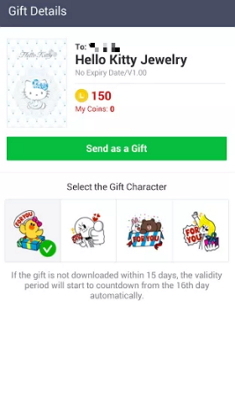 If you have been blocked, Line won't let you send any theme as a gift because it is not fair to charge users for sending a gift to someone who is not your friend, even. See the following steps. 1. Tap "More" icon to start with. Next is the way with "Theme Shop" which is also a paid service. 2. You can select any theme from the list. Here we take Hello Kitty Jewelry as an example. 3. Select "Send as a Gift" and select the person who you think has blocked you. 4. If he/she doesn't block you and doesn't have the theme, you can see the Send as a Gift. 5. 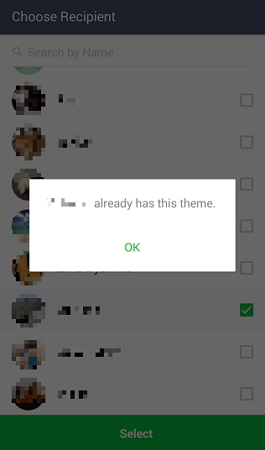 But if the screen says "He/she already has this theme", then just like the way with Sticker, you cannot give the theme to your friend because He/she already has it or He/she has blocked you. You can just try with more themes to confirm. If you discover a method, do let us know. 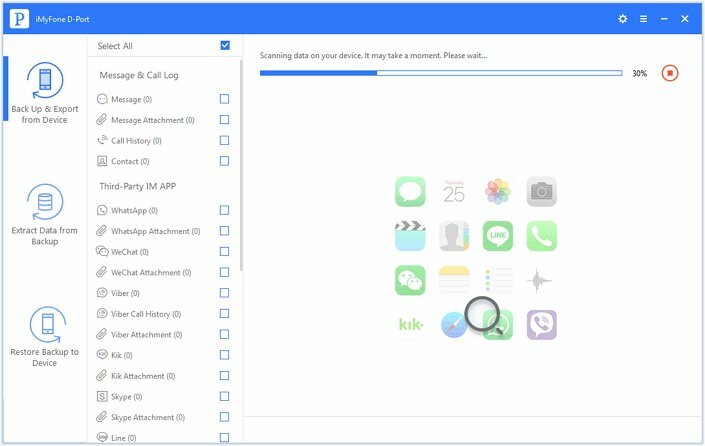 And here will offer an additional tip for you to back up your Line data from your iPhone to the computer so that you can have a spare wheel ready all the time even your friend has blocked you on Line. You can use iMyFone D-Port iPhone data exporter to back up your Line data easily. 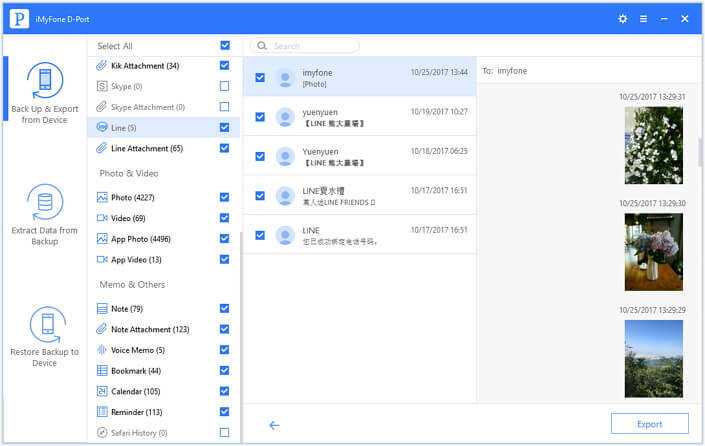 Armed with the following features, the iMyFone data exporter has an enormous reputation in the field of data transfer/ backup/exporting. Backs up/transfer/export Line messages, audio messages, Line picture and video attachment to a computer for further use such as printing. Preview and extract Line data from iTunes or iCloud backups to computer. 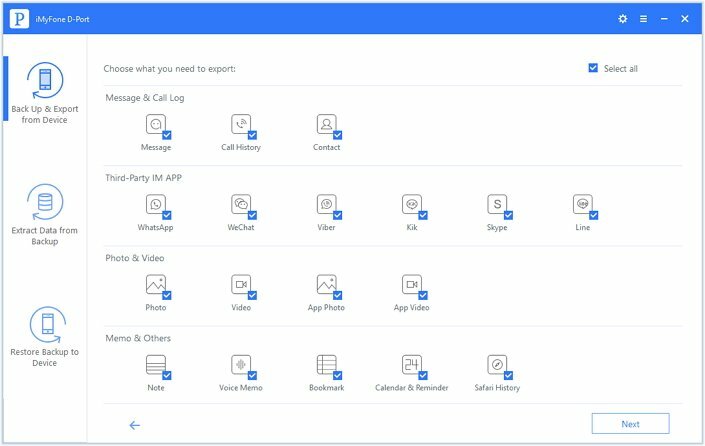 It supports various data types such as WhatsApp, Kik, WeChat, Line, notes, voice memos, photos, videos. compatible with the latest iOS 12 and iOS 11 version. See how to use iMyFone D-Port to back up Line data on your iPhone with super easy steps. Don't forget to download the Free Trial version before the backing up process. Step 1: Run iMyFone D-Back. Choose the option of Backup Up & Export from Device, and then choose the data you wanna back up. In this case, you can check Line or all the data types. Step 2. And then click Next to connect your iPhone to the program. The program will take a while to scan your iPhone data and once the scan is finished, you can see all the Line messages and attachments. Step 3. You can preview your Line data and choose the ones you need to back up. Actually, the program will automatically choose all the data and you can just click the Export button if you want to back up all Line conversations and attachments.